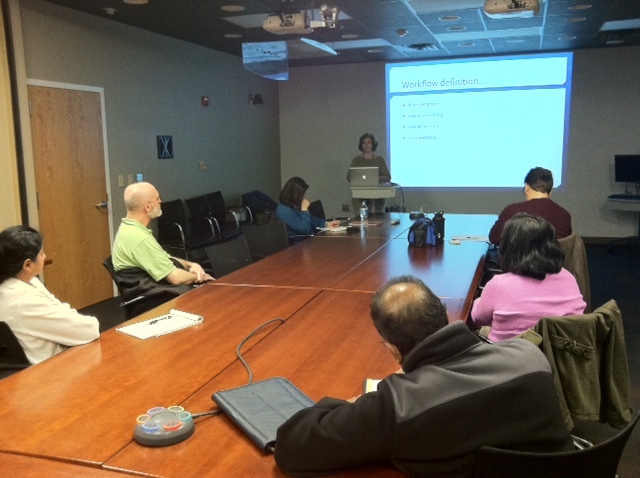 By clv4@duke.edu in OIT Training on March 8, 2013 . Missed the Microsoft SharePoint: Workflows Learn IT @ Lunch session this week? Check out the Building Custom Workflows tutorial through the lyndaCampus online training library. 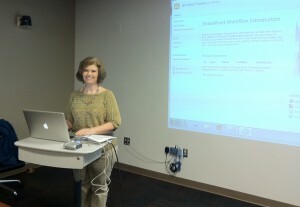 Picture from the SharePoint Workflows Session.